Founded in 2005 by a group of US trained Chinese scientists, Tarcine BioMed is an innovative developer and manufacturer of diagnostic products. Headquartered in Hong Kong, Tarcine BioMed has four subsidiaries, Tarcine BioMed USA, Inc., Tarcine Biotechnic Diagnostics Ltd，Tarcine BioMed Inc., Beijing, and Tarcine BioMed Inc., Qingdao. Based on innovative technologies in molecular and cellular biology and immunology, Tarcine BioMed develops clinical diagnostic products that fulfill unmet market needs. These products offer early non-invasive diagnoses of major diseases. Since 2005, Tarcine has successfully developed six diagnostic product lines in myocardial infarction early warning, early cancer diagnosis, infectious disease diagnosis, pharmacogenomics based drug screening, quantitative drug treatment monitoring, and personalized point-of-care testing kits. 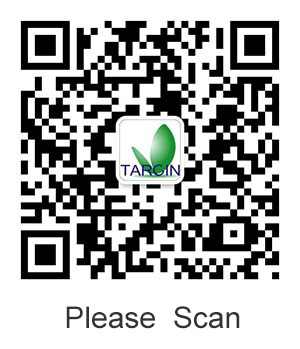 Tarcine has been granted multiple patents in China and has developed a series of proprietary products with these intellectual properties. One of the key milestones reached by Tarcine BioMed R&D team is the successful development of the first-in-class Rta diagnostic kits. Rta is a specific biomarker for early detection of nasopharyngeal carcinoma. Tarcine BioMed developed NPCheckTM product line for qualitative and quantitative detections of Rta antibody in serum. These products have gained CFDA approval and have demonstrated high sensitivity and specificity in numerous clinical studies. NPcheckTM product line is widely used in health examination centers and clinical test laboratories for regular health examination, nasopharyngeal carcinoma high-risk population screening, and the diagnosis and treatment evaluation of nasopharyngeal carcinoma patients. NPcheckTM product line is officially listed in the National clinical test catalog 2013 version by China National Health and Family Planning Commission. Today, as a science-based innovation-driven company, Tarcine BioMed is a nationally recognized high-tech company in China. We are committed to providing highly specific and sensitive diagnostic products to physicians and patients, and we continue to challenge ourselves to expand our scientific expertise and develop novel diagnostic products. •	Manage Tarcine brand, property and equity assets. •	Strengthen collaborations with investors for corporation development.